For the Commonwealth equivalent, see lance corporal. 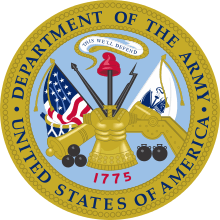 In the United States Army, recruits usually enter service as a private, in pay grade E-1. 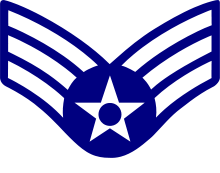 Private (E-2), designated by a single chevron, is typically an automatic promotion after six months of service, or for those who have achieved the rank of Eagle Scout in the Boy Scouts or have been awarded the Girl Scout Gold Award in the Girl Scouts of the USA, or have completed 30 semester units of college courses. Private first class (E-3), equivalent to NATO grade OR-3, is designated by a single chevron and a rocker stripe and is more common among soldiers who have served in the U.S. Army for one year or more. Soldiers who have achieved an associate degree or its equivalent are entitled to enter the Army at this pay grade. Advancement from private first class is typically to specialist, although occasionally it may be to corporal. 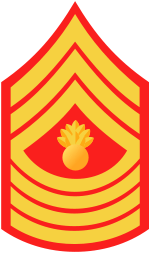 The rank of private first class has existed since 1846 and, prior to 1919, its insignia consisted of the branch of service insignia without any arcs or chevrons. 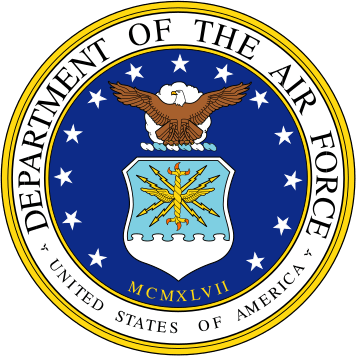 The Secretary of War approved "an arc of one bar" (i.e., a "rocker") under the branch of service or trade insignia for privates first class on 22 July 1919. 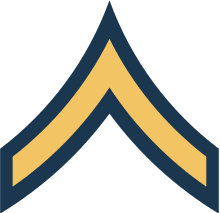 From August 5, 1920 to May 28, 1968, the rank insignia for private first class was a single chevron, per War Department Circular No. 303. On May 28, 1968, the insignia was changed to its current form, consisting of a single chevron with one arc. 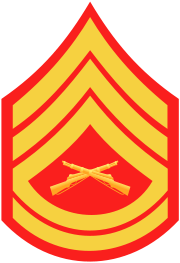 U.S. Marine Corps private first class insignia. In the United States Marine Corps, the rank of Private First Class is the second lowest, just under Lance Corporal and just above Private, equivalent to NATO grade OR-2, being pay grade E-2. 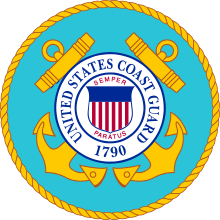 It was established on June 3, 1916 to match the already existing Army rank, primarily because US Marine units were "often called upon to serve" with US Army organizations, such as in the American Expeditionary Force that served in Europe during World War I (e.g. 4th Marine Brigade of the US Army 2nd Infantry Division). At the time the two ranks were directly equivalent. However, since 1968 when the US Army redesignated the E-3 paygrade as PFC (eliminating lance corporal) and created two grades of Private (PVT and PV2), the USMC rank of PFC is one grade lower (E-2) than the similarly titled US Army rank. Enlistees that complete United States Marine Corps Recruit Training and had obtained the rank of Young Marine sergeant or above in the Young Marines, will graduate from USMC Recruit Training with the rank of PFC. France has the rank of Soldat de première classe indicated with a single red chevron. The SAF Private First Class rank insignia. The rank of private first class (PFC) in the Singapore Armed Forces lies between the ranks of private (PTE) and lance-corporal (LCP). Introduced in 1983, it is awarded to hardworking conscript citizen-soldiers who performed well in their National Service term. Privates first class (一等兵) wear a rank insignia of a single chevron pointing down. The PFC rank is rarely awarded nowadays by the SAF since 2010s. All private enlistees are eligible to be promoted directly to lance corporal should they meet the minimum qualifying requirements and work performance. In the Vietnam People's Army, private first class (Vietnamese: binh nhất) is the highest junior enlisted rank. Private first class is below corporal and above private second class. The Philippine Army Private First Class rank insignia. The rank of private first class is similar with its original American counterpart. The insignia consist of a single chevron with a triangle below. 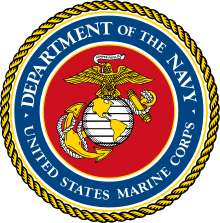 The rank is also in use with the Philippine Marine Corps. ↑ "A Century of Lawmaking for a New Nation: U.S. Congressional Documents and Debates, 1774 - 1875". memory.loc.gov. Retrieved 2016-02-18. 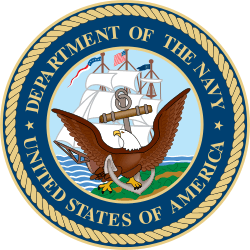 ↑ Affairs, United States Congress House Committee on Naval; Padgett, Lemuel Phillips (1 January 1918). "Hearings Before Committee on Naval Affairs of the House of Representatives, on Estimates Submitted by the Secretary of the Navy, 1918". U.S. Government Printing Office – via Google Books.